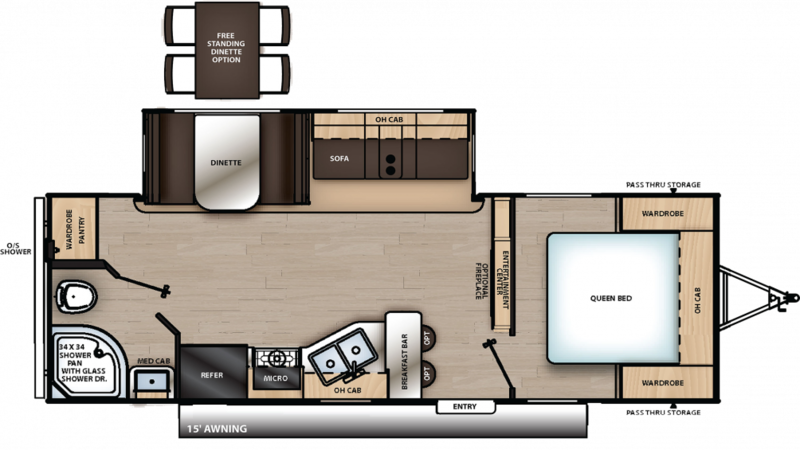 You know that the 2019 Coachmen Catalina Legacy Edition 243RBS is a terrific Travel Trailer - and you can get it at a terrific price from TerryTown RV in Grand Rapids, Michigan! We've been selling the top brand RVs at wholesale prices for over four decades - 5th wheels, travel trailers, and more! And we've got financing to fit every customer's budget! So stop in today at 7145 Division Ave S Grand Rapids Michigan 49548 and let our friendly, knowledgeable staff help you find the perfect RV for your family! Call us at 616-455-5590 to learn more about this fantastic model! Start making great family memories today! This RV is 27' 11" long and has a hitch weight of 687 lbs. and a GVWR of 7600 lbs. Bring out the camping chairs and enjoy the shade of the 15' 0" awning! 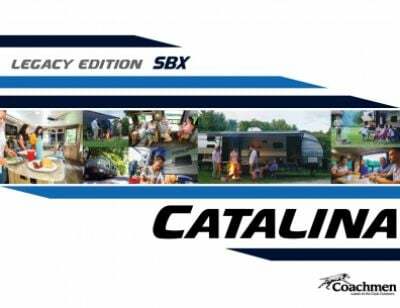 The whole family will enjoy the roomy, living comfort of the 2019 Catalina Legacy Edition 243RBS, especially with the 1 slides that open up to optimize the interior space. At 27' 11" long and 8' 0" wide, there's room for everyone, and no bumping head because this Travel Trailer is 11' 1" tall! And when it's cold outside, you'll be cozy and warm inside, thanks to the 35000 BTU furnace. On the hottest days or nights, the 13500 BTU a/c unit will keep everyone cool and fresh! Cooking hot, tasty meals for your family is easy with the 3 burner cooktop stove and 7.00 cu. ft. refrigerator that can stock all your favorite fresh foods, veggies, and favorite cold drinks! You'll have plenty of hot water for doing the dishes afterward, thanks to the 46 gallon fresh water tank and the 40 lbs. of LP tank capacity! And there'll be plenty left for quenching your family's thirst with cool, clean water! No more onerous treks to the cold, damp, often messy campground public restrooms, thanks to the beautiful bathroom in the Coachmen Catalina Legacy Edition 243RBS! It comes complete with a sink, shower, and a Marine Foot Flush toilet! Enjoy leisurely showers anytime, hot as you please with the 46 gallon freshwater tank and 40 lbs. of LP tank capacity! Used and waste water are stored in the 40 gallon gray water tank and 30 gallon black water tank, respectively! Take long, hot showers thanks to this model's 40 lbs. of LP tank capacity! The bathroom has a Marine Foot Flush toilet. The 40 gallon gray water tank and 30 gallon black water tank provide somewhere for the used water and waste to go without you having to see it!